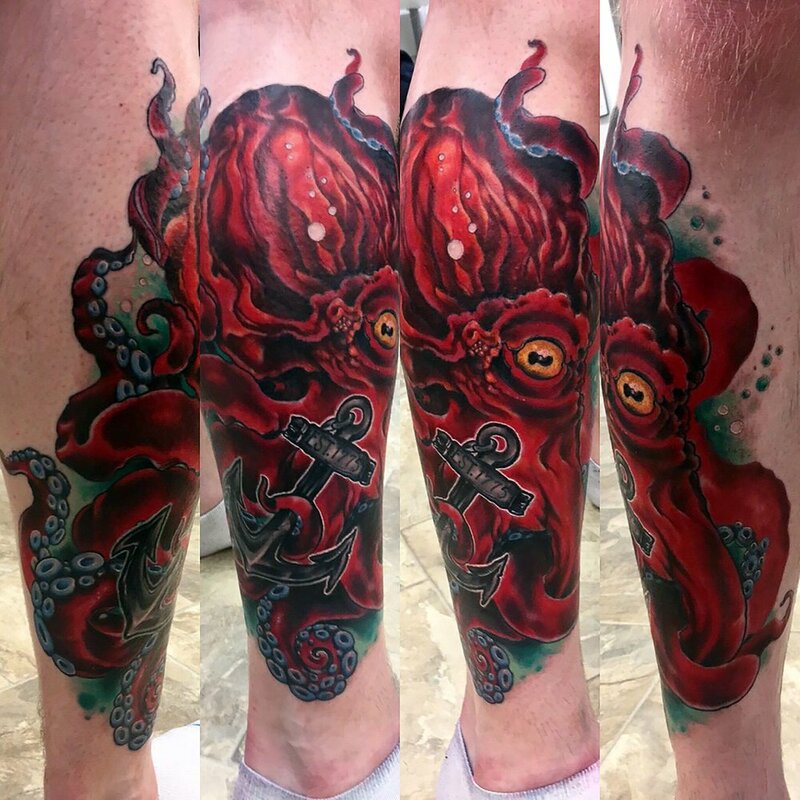 I started tattooing in the Madison area in the Spring of 2013. I consider myself a pretty open-minded and versatile artist and I love challenging myself to become better at my craft. I would describe my preferred personal style as illustrative realism. I enjoy the smoothness of black and grey tattooing, but I enjoy working with color as well. My goal is to create tattoos that fit and flow well on the body and age well. I love tattooing anything dark and creepy or horror movie-related, as well as anything from nature, particularly plants and animals. My other passions outside of tattooing include animals, cooking, and traveling. BEN IS ACCEPTING NEW APPOINTMENTS for 2019! Please fill out this form to set up a consultation with Ben.